Simple and easy to operate, the Semacon Model S-120 combines coin processing features found in larger, more expensive machines with the advantages of a compact portable counter. The S-120 is designed to quietly count, sort and wrap coins at an impressive 2,000 coins per minute. The S-120 features a quick denomination changeover using two simple dial adjustments for the coin diameter and thickness. It can be programmed to stop automatically at quantities between 1 and 9,999 when wrapping or bagging coins. 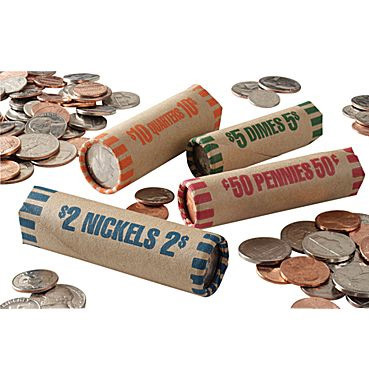 Packaging tubes for wrapping 1¢, 5¢, 10¢, 25¢ and $1 coins are included with the machine. 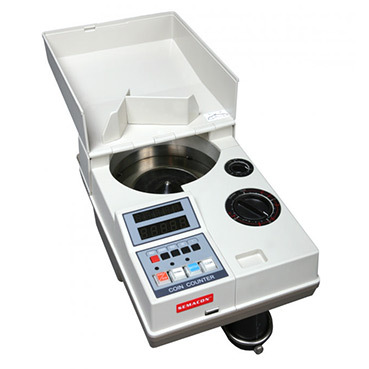 No need to purchase a separate coin sorting machine because the Model S-120 is capable of off-sorting mixed coins while counting and packaging the largest diameter coin first. The smaller diameter coins will be rejected into the reject cup or chute located on the right side of the the machine. Repeat the process until all the denominations have been counted or packaged.